A. Walecka & Son, Inc. can be a valuable partner assisting you with Documentation Management solutions. We can assist you with all your storage needs and requirements, legal and operational. 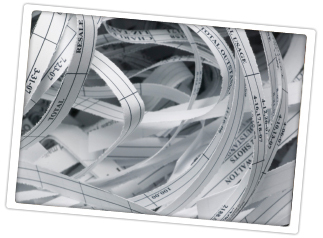 Document shredding is one of the valuable services we provide to our clients. When your documents are no longer required to be stored, we have a state of the art shredding machine designed to efficiently destroy all designated materials.